OKLAHOMA CITY — Rod Ardoin has long had a passion for sweet potatoes. He knows pretty much everything there is to know about the root vegetable that has a sweet orange flesh and is a favorite on Thanksgiving tables. A long-time farmer, Ardoin once hoped to plant sweet potatoes in his Louisiana fields, but never could because of the sweetpotato weevil — an arch-nemesis of potato growers across that state. The small pest had developed a tolerance to chemicals and decimated the crop there. About five years ago the Oklahoma transplant, who has a thick Cajun dialect, heard that there was an 80-acre patch of undeveloped land for sale outside of Fort Cobb — about 80 miles southwest of Oklahoma City. He jumped at the opportunity to open an organic farm, which he and his wife of 32 years, Nanette, named Acadian Family Farm. The Ardoins are among an increasingly rare breed in Oklahoma — a farmer who bucks conventional agricultural methods to grow the sweet potato using organic techniques. 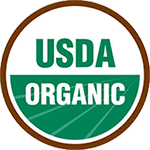 That means no pesticides, no synthetic fertilizer and no genetically modified crops. This Thanksgiving, Ardoin believes he may be the lone Oklahoman who is growing sweet potatoes using this method. There used to be another woman who grew them, but the last Ardoin heard, she’d closed down. The 55 year old isn’t surprised. He likens breaking into the organic sweet potato market to making it big in Hollywood. It takes a combination of hard-headedness, a staunch belief in your product, taking rejection in stride and spending plenty of time pitching it. While the Ardoins sell their produce at a nearby farmers’ market, the profits are not enough to make ends meet, which means they rely on grocery stores to sell their product. 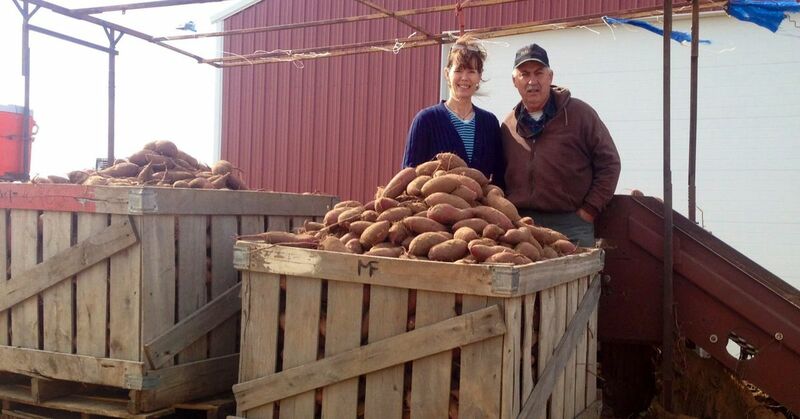 This year, Ardoin planted 22 acres of sweet potatoes. The fall harvest, which is occurring now, should yield about 250 40-pound boxes per acre. Even the roughly 40-inches of rain that fell on the farm in May hasn’t dampened Ardoin’s enthusiasm for this year’s crop. “These are good eating potatoes,” Ardoin said. And forget distributors. Ardoin personally transports the potatoes from farm to store at what he believes is the ideal storage temperature — 55 to 60 degrees — to ensure the best quality. This Thanksgiving, Acadian Family Farm sweet potatoes are on shelves in Whole Foods and Natural Grocers locations across the state and in most Homeland stores in Norman, Oklahoma City, Edmond and Yukon. They also distribute through the Oklahoma Food Cooperative, which connects locally produced items throughout the state. Ardoin, of course, plans to serve candied yams at his Thanksgiving table year, and hopes others will consider doing the same. “(We hope they’ll) give thanks for good Okie-grown sweet potatoes,” he said. Janelle Stecklein covers the Oklahoma Statehouse for CNHI’s newspapers and websites.